De statiefuitbreidingsarm van mantona is ideaal voor opnamen met de camerapositie buiten de statiefas, bijvoorbeeld van bovenaf. Het is ook perfect geschikt voor fotografie met macrofotografie. 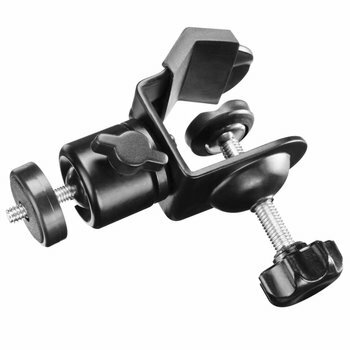 The Tripod Extension Arm by mantona is ideal for shots with the camera position outside the tripod axis, e.g., from above. It is also perfectly suited for macro and still life photography. The arm can be panned by 0 to 90 degrees on the joint and tilted by -5 to 180 degrees. That way, it offers a lot of flexibility in finding the right camera position. The tripod plate, on which the camera is mounted, can be rotated by 360 degrees. The joint is very smooth-running, which allows a soft and exact adjustment. At the same time an interlocking mechanism ensures a good footing. That way it can withstand a higher load and an unintentional lowering of the arm is avoided. 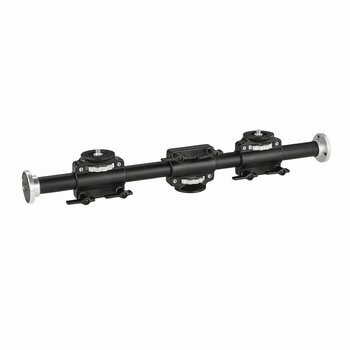 Because of this, the extension arm is also well-suited for larger and heavier cameras up to approx. 8kg. The built-in bubble level allows a very exact alignment. 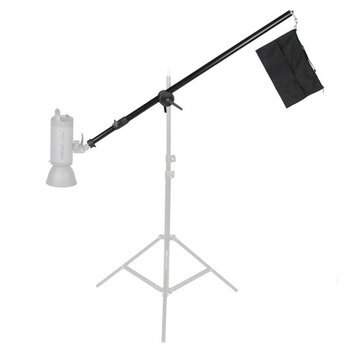 The extremely durable tripod extension arm is made from high-quality aluminum, which minimizes wear. On the arm, you can find two 3/8 inch tripod connection threads and one 1/4 inch camera connection screw.